With Metal Gear Touch, Metal Gear Solid has arrived on Apple's iPhone. It's not a huge surprise as Apple products are littered throughout Metal Gear Solid 4. 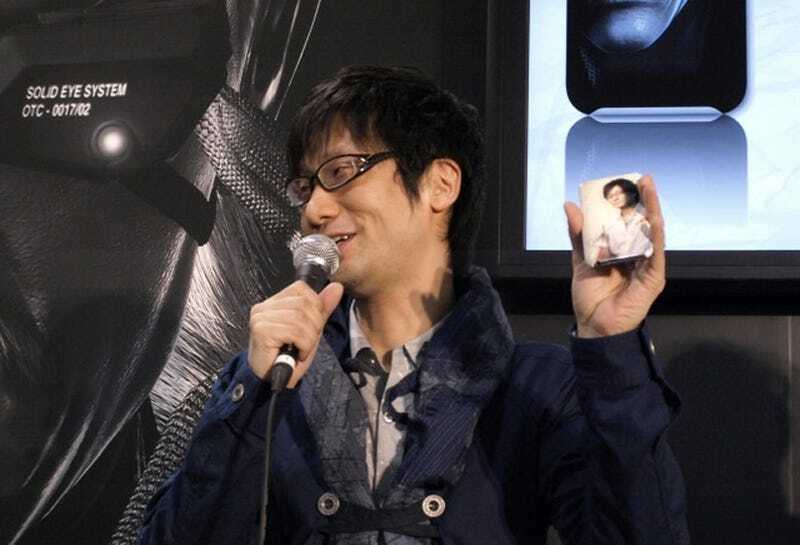 Kojima's a Mac user, and he's got a one-of-a-kind iPhone with his own mug on it. Hello vanity! We assume (hope?) this is a gag on his part — but you never know. Kojima seems like such a humble guy. Metal Gear Solid themed protective cover jackets for the iPhone and the iPod Touch are on sale at Soft Bank cell phone shops and Apple Stores across. They're priced at ¥4,500 (US$46.50) each.